http://www.thiscouldbeuseful.com/2012/10/image-sprite-magic.html). As you can see something was going terribly wrong as it was displaying extra lines and the line numbering was seriously off. The syntax highlighter I use for this blog was created by Alex Gorbatchev (make sure to check out his website: http://alexgorbatchev.com/SyntaxHighlighter/) as I explained in this blogpost: http://www.thiscouldbeuseful.com/2012/03/adding-syntax-highlighted-code-to-your.html. The highlighter is great, it's easy to use and it does what it should do (except for this little mishap) so thumbs up for Alex Gorbatchev! turns out the issue only goes for Chrome (all other browsers are crap, so I didn't even notice that it was browser dependent :)) and is caused by something in the css that set's of one of the latest versions of Chrome. The best and cleanest way to fix this, would be to update the specific file and reference it. Unfortunately, in my case that is not possible since I directly link the file from Alex Gorbatchev's website. 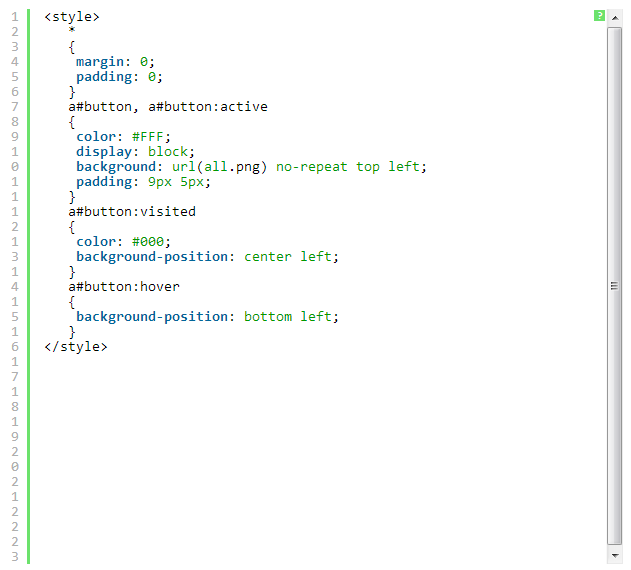 So I just added some extra css directly to the Blogger template. 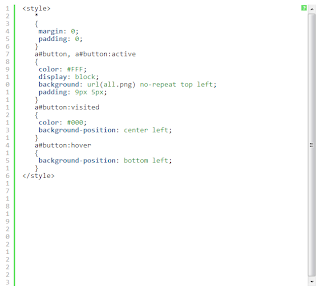 Placing this strategically under the link of the shCore.css file will overwrite the orginal piece of code! You'll be given a warning that this can be tricky, so you might want to save the current template to a file first. That's it, that small change will clean up the extra lines and strange line numbers!